New cyphers to use in your Numenera game. Cyphers are one-use, cobbled-together bits of technology that characters frequently discover and use. Many groups will burn through cyphers quite quickly, so the addition of fifty new cyphers is a welcome way to spice up a Numenera campaign with interesting abilities for players and new ideas to make stories fun and interesting. In this collection, you’ll find fifty unique cyphers that can be added into any campaign when a new cypher is needed. Note: The items in this product have been reprinted in Technology Compendium: Sir Arthour’s Guide to the Numenera (where they appear along with hundreds of new ones). 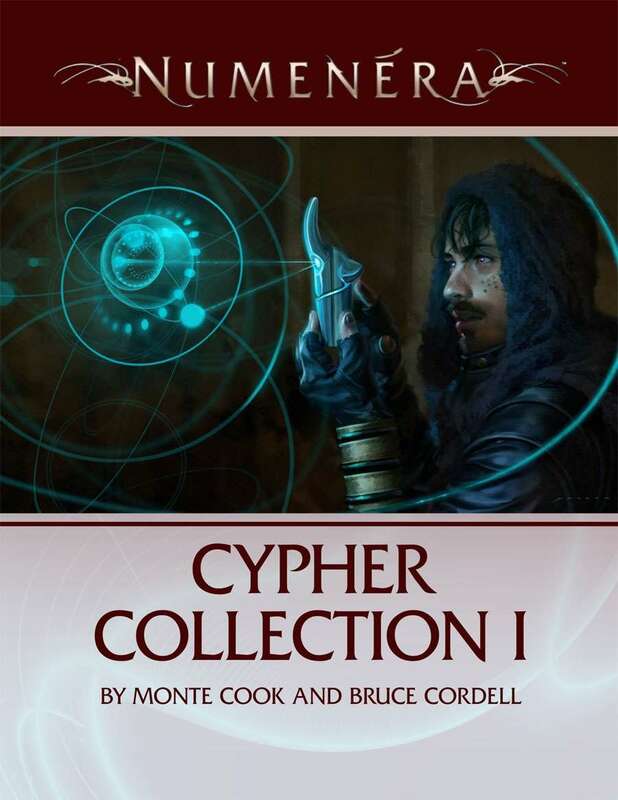 If you have that title, Cypher Collection 1 does not include any new material. This title was added to our catalog on December 02, 2013.